My eye focuses on objects, traces left by man in a scenery emptied of all presence but like inhabited by a second nature. The vagueness of the locations, peripheral and familiar, the enigmatic titles given to certain photographs, immerse us in an uncertain space and time. 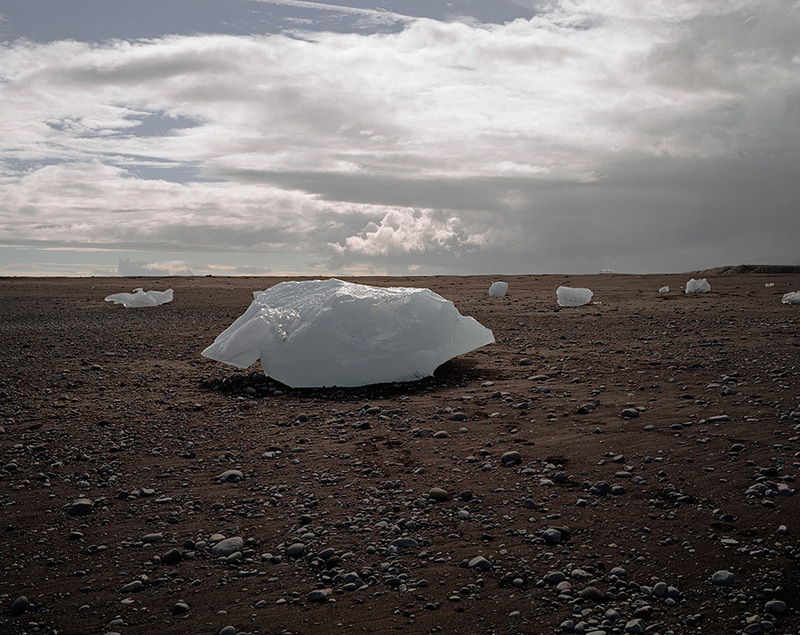 We follow the traces of the absent, in action in the glacial erosion of the Jökull. It is in these intervals, in this point between the subjective and the objective, that poetic wandering takes place on the intrinsic relationship between a society and its environment, man and nature. From Reykjavík to parisian suburbs, passing through the Reunion Island, from deserted landscapes to native forests, I try to reveal a cartography of the moment of our environment, in the era of the Anthropocene.